Was that a shopping cart bouncing off your rear quarter panel? Replace that damaged rear quarter panel with a brand new panel. This is the same panel that Mitsubishi put on your EVO from the factory. TECH TIP: Panel comes un-painted. 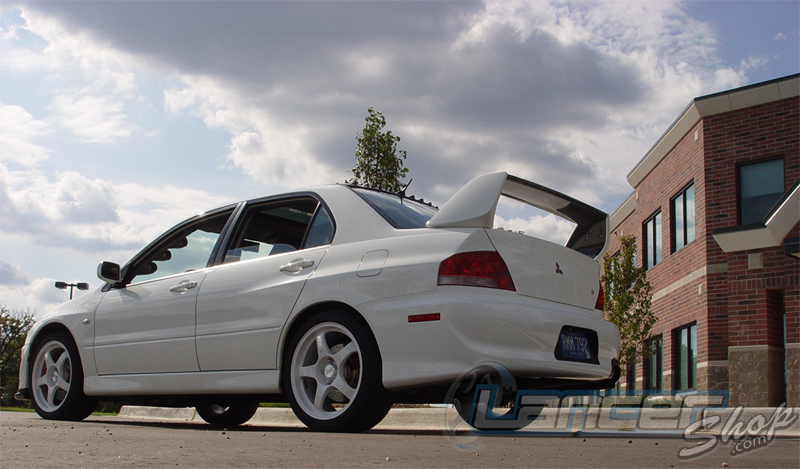 It can be taken to any body shop to be painted to match your EVO. This is for the passenger's side of the car.